From the special exhibit at the Rising Star Quilt Guild quilt show, October 2-3, 2015. As English settlers crossed the ocean to the American colonies, they brought their quilts and their quilting traditions with them. Whole cloth and mosaic-style paper pieced quilts were the most common styles among the first generations of quilters in America. Hand Quilted Whole Cloth Quilt Sample (or, as my daughter called it “the quilt with nothing on it”)- King Arthur’s Crown template from The Stencil Co. In the early 1800’s in America, paper was hard to come by, so pioneer women used letters, catalogue pages, sheet music, and newsprint as templates for their quilts. Sometimes they left the paper templates in the quilt as added insulation and giving us a glimpse into their lives. The template was used to stabilize pieces of fabric that were hand stitched together. 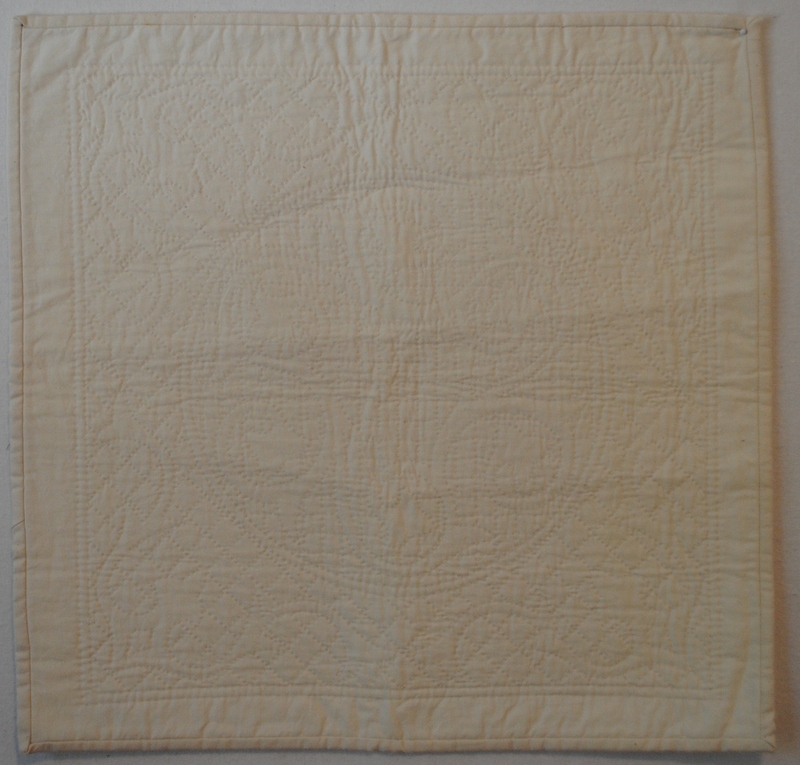 To make a paper pieced quilt, the template was placed on the back of the fabric, fabric edges folded over the template, and basted in place from the back. 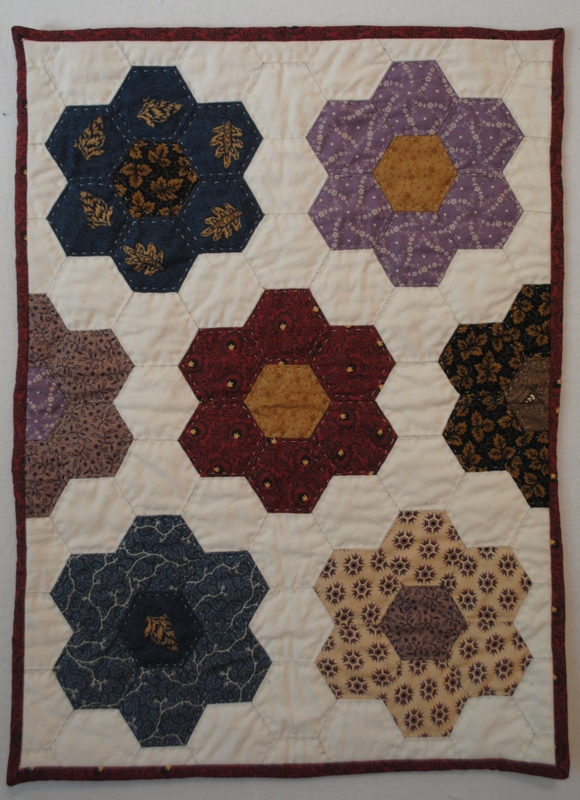 The patches were then sewn together giving the blocks sharp points and perfectly matched intersections.